Joe Logan assists team members with their fast pitch. Natasha Watley joins the group for a photo. 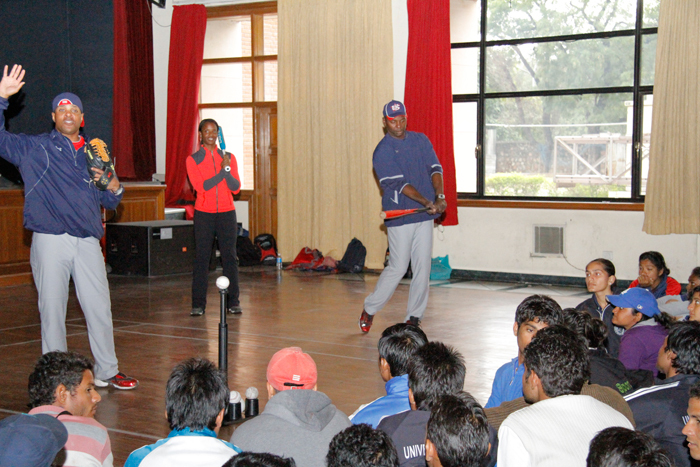 Young Indian athletes practice pitching with Joe Logan. 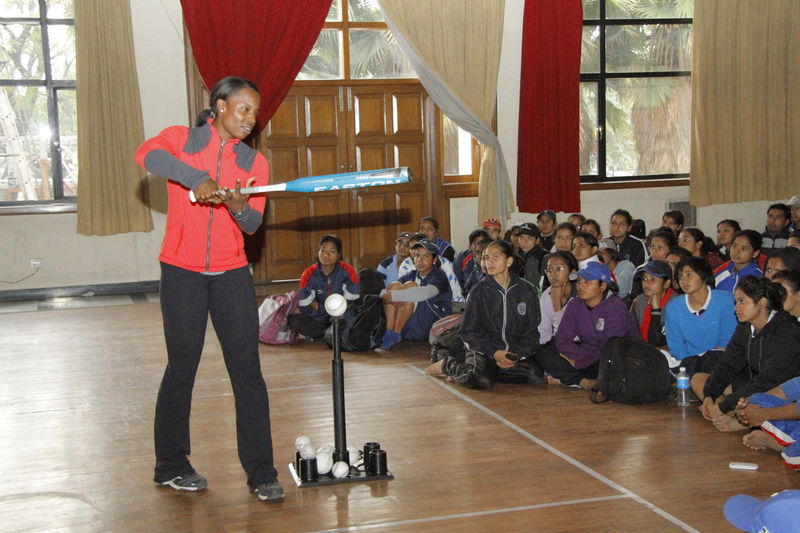 Sports Envoy Natasha Watley provides key tips on batting at a group meeting. A young Indian woman demonstrates her dancing skills to peers and the envoys. 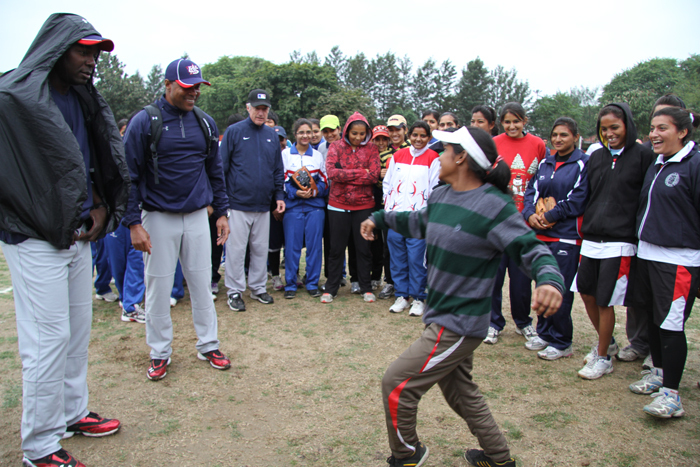 The Sports Envoys are warmly welcomed before discussing the power of sports with India youth and coaches. 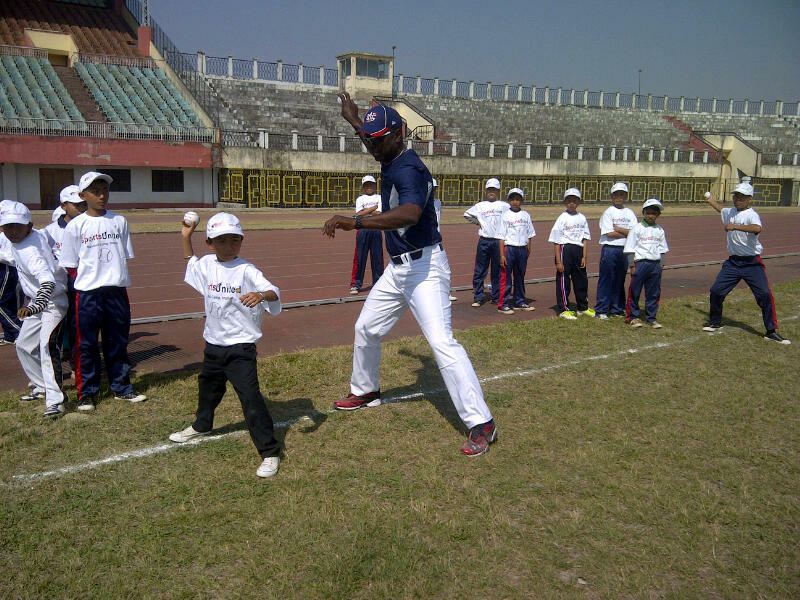 Barry Larkin, Joe Logan, and young athletes in India participate in pre-clinic demonstrations. The team listens to Barry Larkin as he shares tips on different baseball techniques. The Sports Envoys pose with a new friend in India. Natasha Watley, Barry Larkin, and Joe Logan teach batting skills indoors while highlighting the differences between batting in baseball and softball. 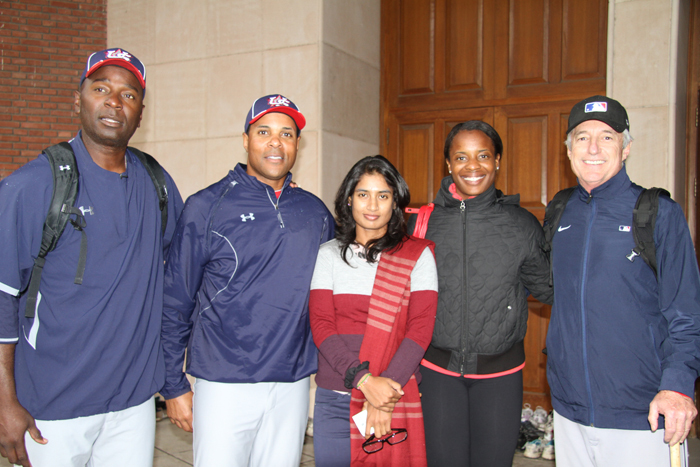 The State Department’s first-ever joint baseball and softball program sent MLB Hall-of-Famer Barry Larkin and Olympian Natasha Watley to India as Sports Envoys in Febuary 2013. 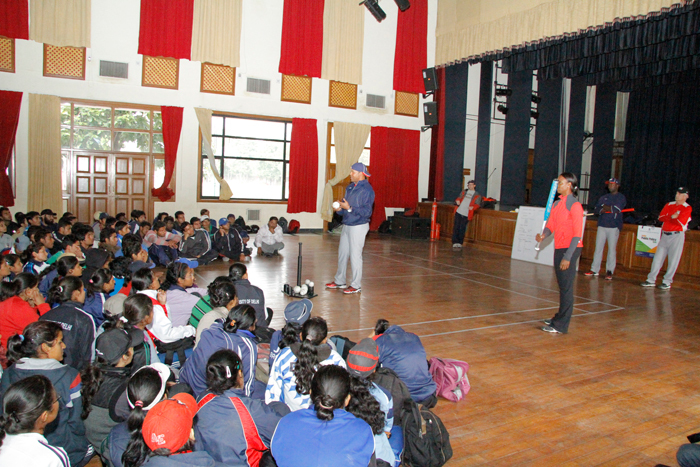 Working with MLB and USA Softball, ECA designed this exchange to encourage youth participation in sports. Joe Logan, a former player with the Montreal Expos organization and coach of the Orlando Reds, accompanied the envoys. 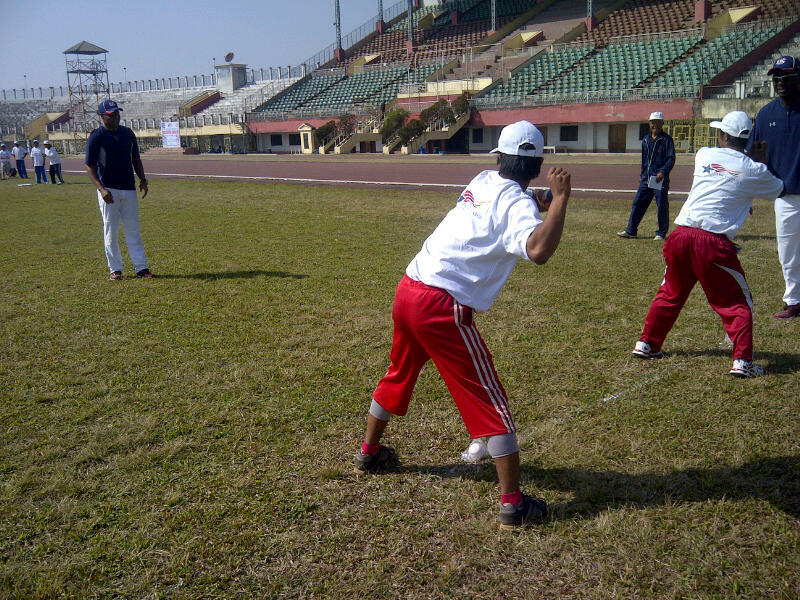 The Sports Envoys kept to a fast-paced schedule of activities in New Delhi and Imphal. 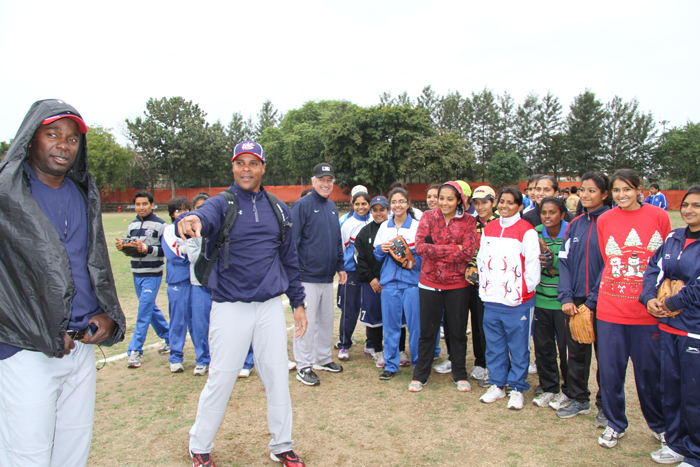 In both cities, they led baseball and softball clinics for underserved youth and their coaches and engaged in dialogue on the importance of respect for diversity on-and-off the field.